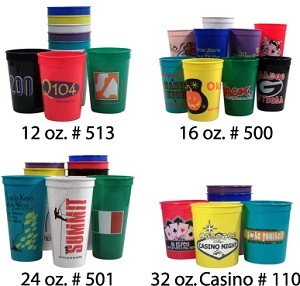 These souvenir cups are reusable, affordable and available in 12, 16, 24 & 32 oz. sizes. Includes a 1 color imprint on both sides. FREE 1 day rush service available.